Friends and neighbors of mine love my Limoncello Liqueur and asked me to post this recipe. If you have never had Limoncello before... it tastes similar to a lemon drop shot, but a bit more strong and sweet. It is actually quite easy to make, but may impress your friends and neighbors that you can make your own liqueur. Limoncello originates from Italy. It is a liqueur made from the peels of lemons. 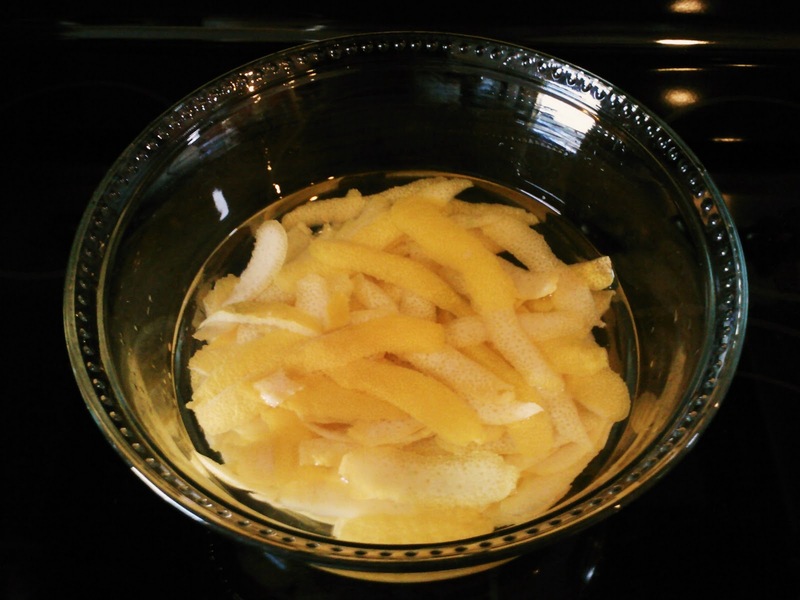 The peels are soaked in grain alcohol until the oils from the peels are released. The resulting yellow liquid is then mixed with simple syrup. Limoncello is traditionally served chilled and straight as an after-dinner drink digestive. It is a strong drink so it is usually served in a small shot size serving. You can also dilute it further by mixing it with soda water etc. to make cocktails instead. 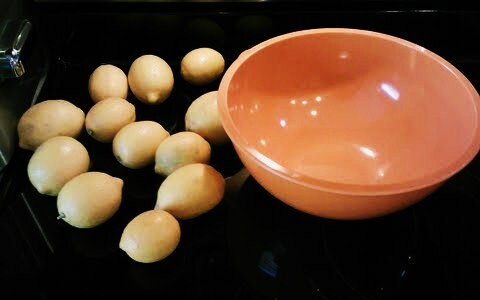 12 average sized lemons (I use organic lemons and thoroughly scrub the outside of your lemons with water beforehand). 1 liter bottle of 190 proof Everclear. (You can use Vodka, but the end product may freeze in the freezer; so the Limoncello would need to be stored in the refrigerator). Limoncello made with Everclear will stay liquid in the freezer. Remove the peel from the 12 lemons using a vegetable peeler. 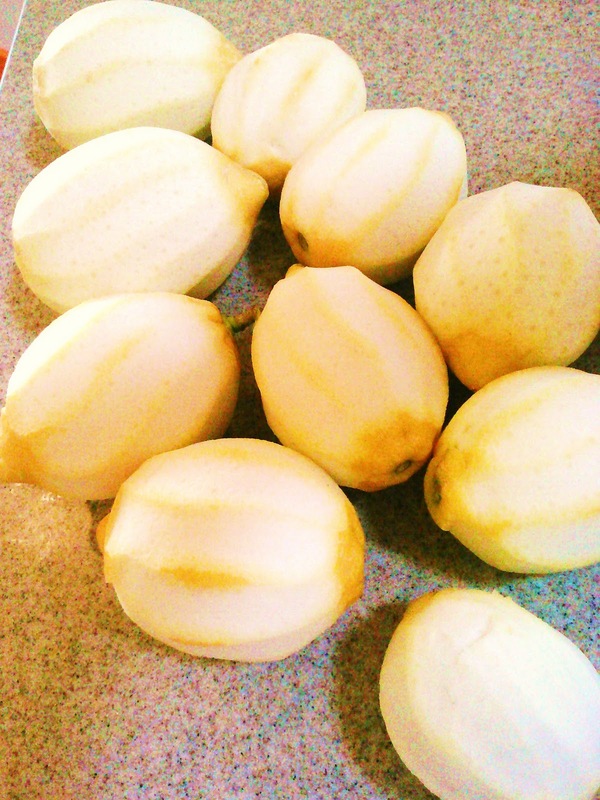 Just peel off the yellow part and not the white part (the pith). The pith is bitter. 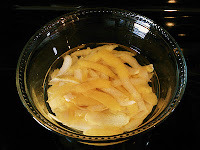 Place the lemon peels into a deep bowl. 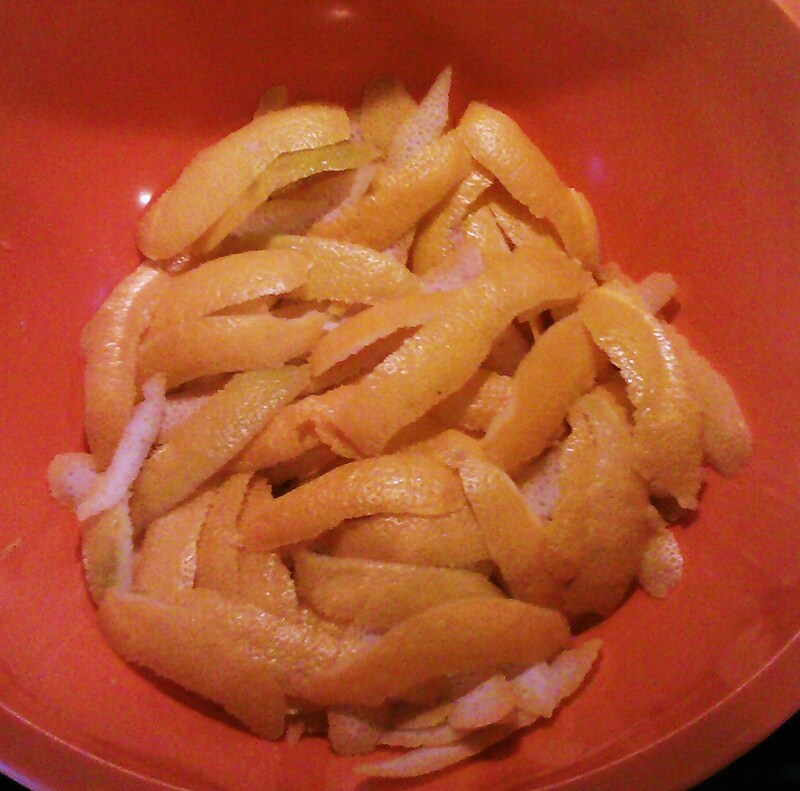 Pour the Everclear over the peels. The Everclear should completely cover the peels. Cover the bowl tightly with plastic wrap. Let the bowl sit for 4 days at room temperature. After 4 days, you need to make a simple syrup. 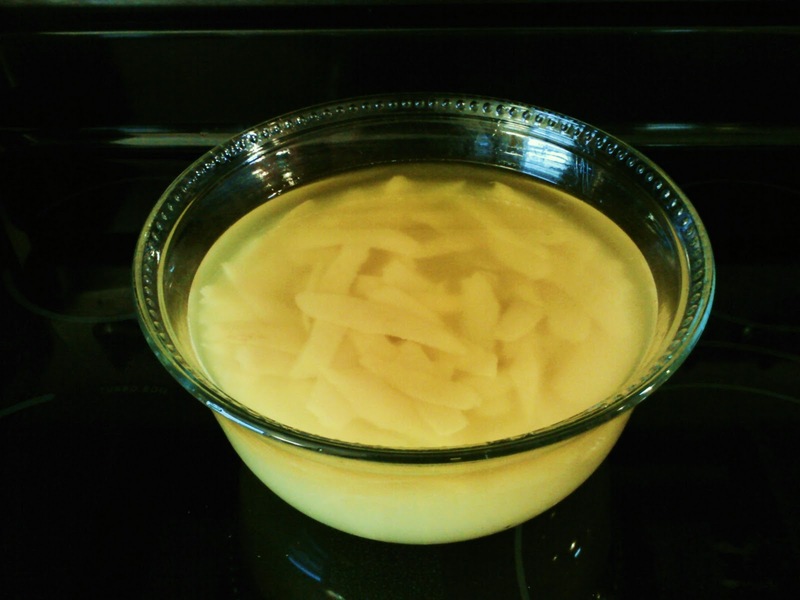 Stir the water and sugar in a large saucepan over medium heat until the sugar dissolves. Cool completely. Pour the syrup into the bowl with the peels and Everclear. Cover and let stand at room temperature overnight. 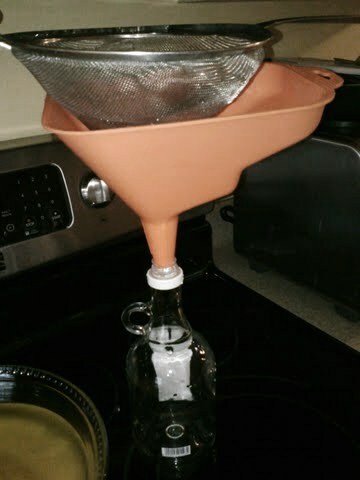 The next day, strain the limoncello through a fine mesh strainer into a bottle. Throw out the peels. 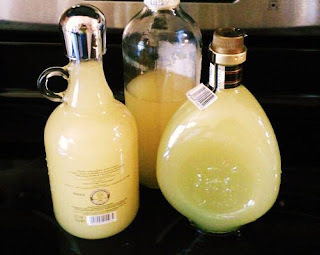 Transfer the limoncello into clean bottles. I use a funnel with a fine mesh strainer on top to make sure none of the peels get into the bottle. 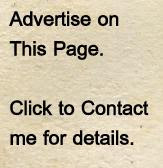 I keep mine in the freezer up to a year. If you are using Vodka, you may want to store it in the refrigerator so it doesn't freeze. In that case, it may be stored in the refrigerator for a month. Could you do the same with oranges? Yes you can. I havn't done it, but it is on my must do list!! I think it would be delicious. Thank you for sharing this, I want to make some for gifts this year and plan on using Meyer lemons to make it, what do you think? I think that would work well. Meyer lemons are not a sour as regular lemons though so it might be a bit sweeter.